People establish odd bonds with faceless corporations. We buy a product, usually without doing enough research, and if it performs well, we replace it with a newer version from the same company. People are especially prone to do this with cars, because there’s a lot more to consider when buying a car than there is, say, when buying a stainless-steel frying pan or a television. It’s why vehicles like the Toyota Corolla continue to sell in droves despite the rise of crossovers. The compact icon follows the same dogmatic formula because the smart folks in Toyota City know there are a whole bunch of customers who will, without thought, march down to their local Toyota dealer when it’s time to replace their Corolla with another Corolla. In short, the Toyota Corolla is the safe choice. And the new 2020 Corolla Sedan is safer, both literally and figuratively. The safest Corolla (figuratively) is the familiar L, LE, and XLE trims. Each of these cars features a 1.8-liter four-cylinder engine matched up to a continuously variable transmission (CVT). Current Corolla owners will recognize this pairing, as it features in the last-gen car, although Toyota blessed the engine with a smidge more power for 2020 (and a negligible fall in torque). The old tune netted 132 horsepower and 128 pound-feet of torque, while the new car enjoys 139 hp with torque dropping to 126 lb-ft and fuel economy stats of at least 29 miles per gallon city, 37 highway, and 32 combined (that’s for the XLE – L and LE add a point to each of those figures). If you’re feeling a bit spicy, the Corolla SE and XSE promise the most power a Corolla Sedan has offered in years. The new 2.0-liter engine pumps out 169 hp and 151 lb-ft, and is available alongside either the hum-drum CVT or a six-speed manual transmission. This is a significant increase over the last-generation car, which boasted the same 132-hp 1.8-liter, four-cylinder as less sporting models. Look for EPA-estimated fuel economy figures of 29 city, 36 highway, and 32 combined with the manual trans; 31 city, 40 highway, and 34 combined for the SE CVT; and 31/38/34 for the XSE. If you’re feeling a bit spicy, the Corolla SE and XSE promise the most power a Corolla Sedan has offered in years. But I recommend ignoring power figures with the Corolla – if you’re looking for a sense of urgency or vigor, you’re in the wrong place. Even the six-speed manual and its rubbery gates, longish throws, and rev-matching system can’t make the Corolla feel enthusiastic. Neither the 1.8-liter nor the 2.0-liter wants to rev (a particular problem for the six-speed stick), and with peak torque for the smaller engine at 3,900 rpm and the larger one at 4,400, that’s a problem. In short, both of these engines feel old fashioned in a day and age where effortless, turbocharged torque is so readily available in other compacts. Less old fashioned is the first hybrid-powered Corolla Toyota has ever sold – it’s essentially the 2020 Corolla with the Prius’ gas-electric powertrain and planetary gearset shoehorned in. 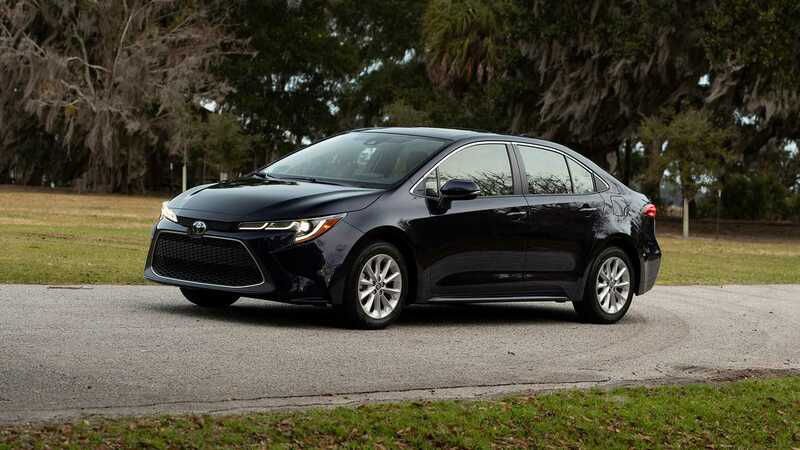 The Corolla Hybrid nets an impressive 53 miles per gallon city, 52 highway, and 53 combined, effectively taking the place of the Prius C among Toyota’s lineup of fuel sippers. And what’s it like to drive? Well, um, it’s a Prius. Really. The powertrain, brakes, and overall character feel virtually identical to Toyota’s hybrid legend – the Corolla simply lacks that car’s polarizing styling. 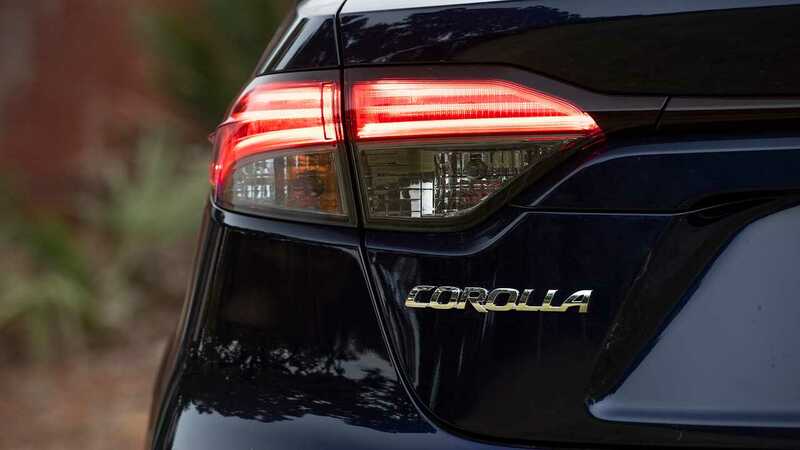 New 2.0-liter engine and hybrid powertrain aside, the 2020 Corolla is unapologetic in its Corolla-ness. This is a calm, relaxed, isolated compact sedan in the classic mold. Even the SE, which is supposed to be the sharpest handler, feels ponderous and uninteresting, thanks to ample body roll, squat, and dive. In short, the 2020 Corolla handles like a Corolla. But the ride is much improved. Eastern Georgia’s roads are a far cry from Detroit’s frost-ravaged tarmac, but the Corolla manages to mask bumps and imperfections during my drive around Savannah. While it doesn’t feel even a little sporty, the reality is that the Corolla has the perfect ride for most customers. The smart buy is to avoid the SE/XSE’s 18-inch wheels and 225/40 tires and grab the cushier 205/55/16 tires on the LE/XLE. The LE and XLE also avoid the Corolla SE/XSE’s more heavily bolstered seats. The SE’s six-way manual chairs sit too high as a default, don’t adjust low enough, and are too snug and unsupportive. 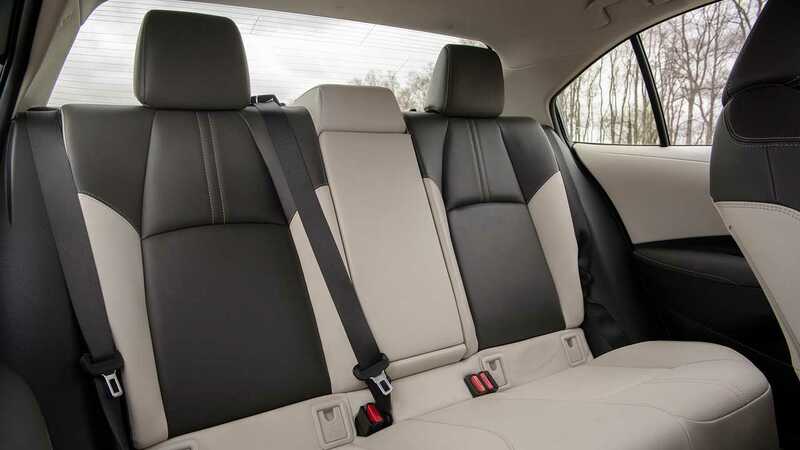 The compromised seat height is a big problem for taller drivers, contributing to a lack of forward visibility (more on that in a second) and making the front of the Corolla feel far smaller than it actually is. The smart buy is to avoid the 18-inch wheels and grab the cushier 16s. The difference between the SE and XLE is hard to understate. Headroom is far more plentiful, the dash, which juts out unnecessarily regardless of trim, doesn’t feel like it’s in your lap, and most importantly, visibility is far better. The XLE’s seats offer similar levels of support, but their flatter shape is easier to get in and out of and are far nicer to sit in. The Corolla’s new TNGA (Toyota New Global Architecture) platform is a net win that has one significant problem. While it maintains the last-gen car’s 106.3-inch wheelbase, its roof height is eight-tenths of an inch lower, and that has an unpleasant effect on the second row. Taller adults will, at the very least, be brushing their hair against the headliner. But that new platform also marks a welcome change. 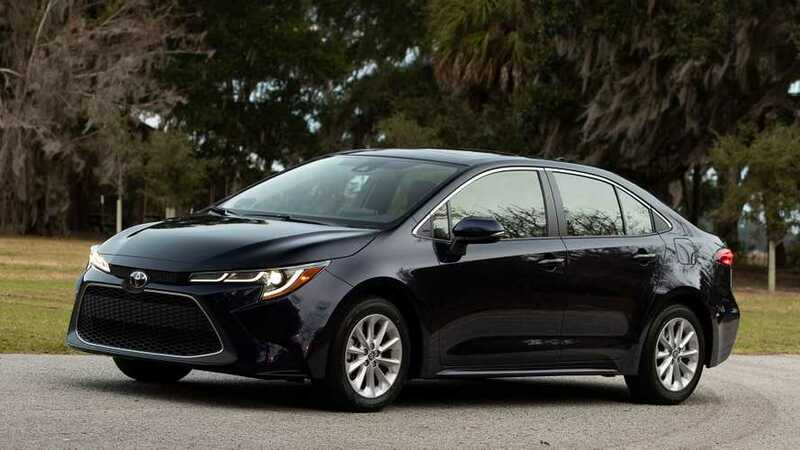 Where cars tend to grow a few inches from generation to generation, the 2020 Corolla shrinks from 183.1 inches to 182.3. It’s not a massive reduction, but the bulk of the missing sheet metal comes from the front overhang, making the Corolla even easier to place on the road. That roof comes back with a vengeance, though, impacting both forward and rearward visibility. The windshield’s intersection with the roof is too low, so if you’re tall, it’s tough to see stoplights. And if you grab a Corolla with the sunroof, the controls for it, the map lights, and the sunglass holder obscure the top half of the rearview mirror. It's so bad I can only see below the beltline on cars following me. TNGA’s more significant improvement is its control of noise, vibration, and harshness. Simply put, the Corolla is impressively quiet. Engine noise infiltrates the cabin only under wide-open throttle, while the rest of the time ample sound deadening absorbs it. Road and wind noise are similarly muted, although the manual-trans SE tester lets in much more road noise than either the 1.8-liter/CVT or the Hybrid. Consider that another reason to go with the commuter-spec car. You won’t need to choose a winner on the safety front. While it’s easy to pick the best Corolla after taking each trim for a spin – it’s the LE and XLE if you haven’t been paying attention so far – you won’t need to choose a winner on the safety front. 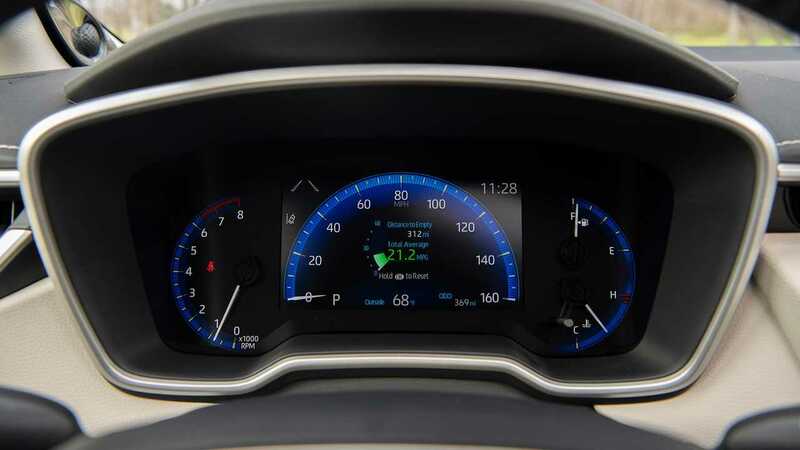 Full-speed radar-based adaptive cruise control, automatic emergency braking with day/low-light pedestrian detection and daylight cyclist detection, lane-departure warning with steering assist, automatic high beams for the standard LED headlights, and lane-keeping assist, however, are standard across the board. Blind-spot monitoring is the only bit of safety gear that is optional, and even then, that’s only for the SE – it’s standard on the XSE and XLE (sorry L and LE shoppers). That level of active safety doesn’t really come with much of a price. The base Corolla L starts at just $19,500. Getting into the LE means ponying up an additional $450, making it one of the simplest decisions in car buying. The XLE, meanwhile, is a reasonable $23,950 and is my pick of this consumer-friendly litter. The SE starts at $21,950, although bizarrely, that’s for the CVT model. 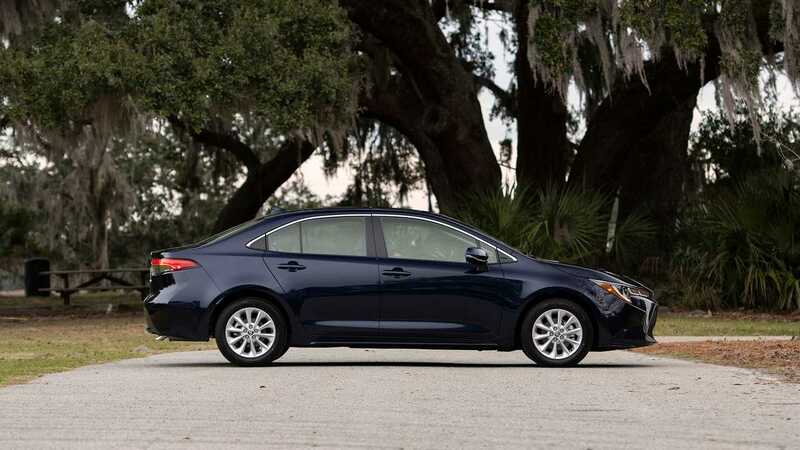 The Corolla SE costs $700 more for the do-it-yourself transmission, but it also comes standard with a sunroof and proximity entry, which are both packaged options on the SE CVT. The XSE, which is only available with a CVT, costs $25,450. The Hybrid, meanwhile, is only available in the LE trim and carries a price tag of $22,950. The Toyota Corolla’s success hinges on a well-worn formula, and the 2020 model executes it to a tee. This still isn’t a vehicle for an enthusiast, but as a Toyota Corolla, it ticks all the right boxes. The price is impressive, the safety gear among the best in the class, and the overall driving experience is comfortable and isolated. For someone who needs a set of smart and reliable wheels, there’s no shame in playing it safe.